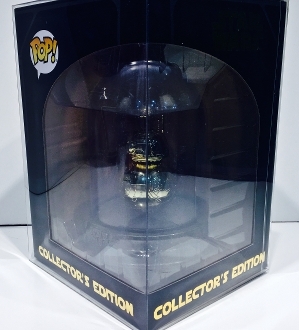 1 box protector for the Funko Gold BB-8 Collector's Edition Hot Topic Exclusive! These do NOT fit the R2D2 that came out later but we do have that size also! This one was supposed to have the auto-locking bottom but it didn't come in that way. It has flaps on top and bottom instead. Works just fine but most the Pop protectors we have have the auto-lock bottom so it's worth mentioning.